This gemstone is a Natural Fire Agate. It is still included in the family of chalcedony. But this semi-precious gemstone has a beautiful iridescent rainbow colors just like an opal. The iridescent phenomena create beautiful flashes of green, red, orange, and gold color. It is similar to a fire that flame inside the gems. Fire Agate is 6,5 to 7 mohs scale in hardness. Because of that, this precious stone is durable enough to be jewelry. Until now, fire agate can only be found in some specific areas of northern Mexico and the southwestern of United States. 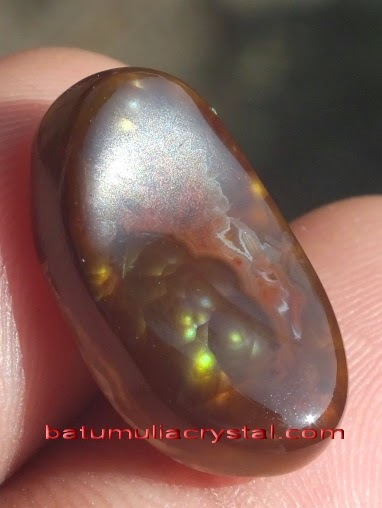 Therefore, it is quite difficult to find Fire Agate in Indonesia Gemstone Market. The price is also quite expensive for good quality pieces. But don’t worry; batumuliacrystal.com has lots of good pieces of Fire Agate. Please call us immediately to order our fire Agates. 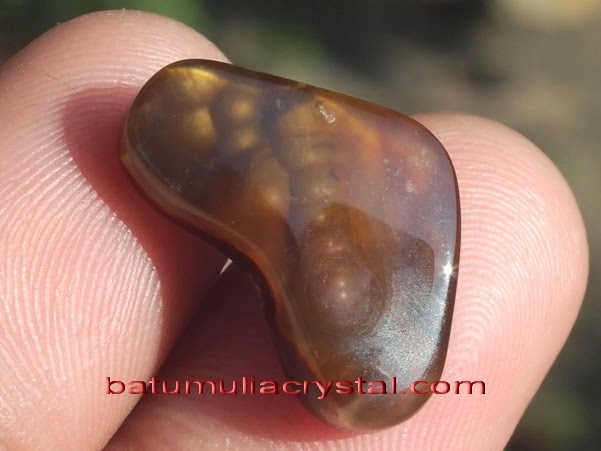 This is the link for our Fire Agates. Thank you very much my friend for your visit, have a day with happiness and peace. Hugs Valter.